Below is a listing of publications from our local UC Cooperative Extension and the Agriculture and Natural Resources catalog. Click on a publication or image to view the link. Fruit Nut Grape Varieties for Home Orchards A listing of fruit, nut, and grape varieties, sorted by elevation, that will grow in the Sierra foothills. Christmas Tree Production in the California Sierra Foothills A Brief look at the Christmas Tree Production in the Sierra Foothills. Christmas Tree Cost Study 2005 A sample cost study report of "choose and cut" Christmas tree farms growing Douglas Fir and White Fir trees in the Sierra Nevada Foothills, including El Dorado, Placer and Nevada Counties. Understanding and Managing Phytophthora Root Rot in Doug and True Firs, with Indentifying chemical and cultural management for Phytophthora A description and identification of the Phytophthora root rot disease, it's symptoms, and some ways to help manage it. 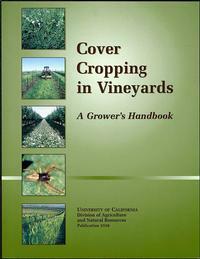 Cover Cropping in Vineyards An introduction to vineyard cover crop management. Soil Moisture Measurement Technology When to irrigate and how much to achieve maximum vine performance. 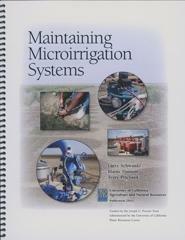 Soil Effects of Water Deficits Upon Winegrapes Irrigation control to produce high quality fruit. 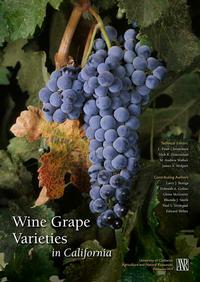 Use of Tissue Analysis in Viticulture Proceedings of Varietal Winegrape Production Short Course, March, 2005. Soil and Tissue Labs Listing of laboratories that perform various types of analysis. Organic Apple Production Manual A review of the organic apple industry. Pear Production and Handling Manual The growth and fruit development, as well as practical considerations on pear culture. 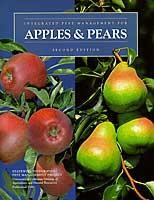 Integrated Pest Management for Apples & Pears, 2 edition Focuses on less invasive methods for pest management. Field Evaluation of Reduced-Risk Insecticides for Codling Moth Control in Apples: Does adding virus help? Integrated Pest Management for Stone Fruits Focuses on less invasive methods for pest management. Special Spotted Wing Drosophila Update! 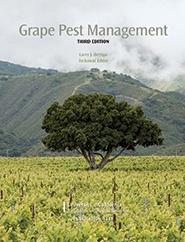 Bird Pest Management of Fruit Grown in the Foothills Gives methods of managing bird pests in orchards of the foothills.